1. Continually monitor the weather: Winter may be better on the wallet or pocketbook, but it’s nothing if not unpredictable. An uneventful day can change suddenly, leaving you amid a snowstorm just as you’re unpacking the moving truck. That’s why it’s important to keep an eye on the weather at all times, from the moment you pack up until you take the last box into your new place. If you have a smartphone, you can get weather updates sent to your phone and stay on top of any sudden shifts from nearby storm systems. You should also keep tabs on traffic reports in your area. Cold weather may cause closures, and that can further complicate your trips to and from your new home. 2. Wear the proper clothing: As a rule, layers are important during the wintertime, as they’re most effective at maintaining vital body heat and keeping out the cold. That is especially true when you actually start moving houses. That’s because as you move, you’ll heat up, and inevitably, you’ll need to take off a few layers to regulate your body temperature. It’s important that you choose the right kind of clothing, such as articles that insulate you without overly impeding your range of movement. To control the temperature, keep the doors open as you move around; the cold from the outside and heat from the inside should balance each other out. 3. 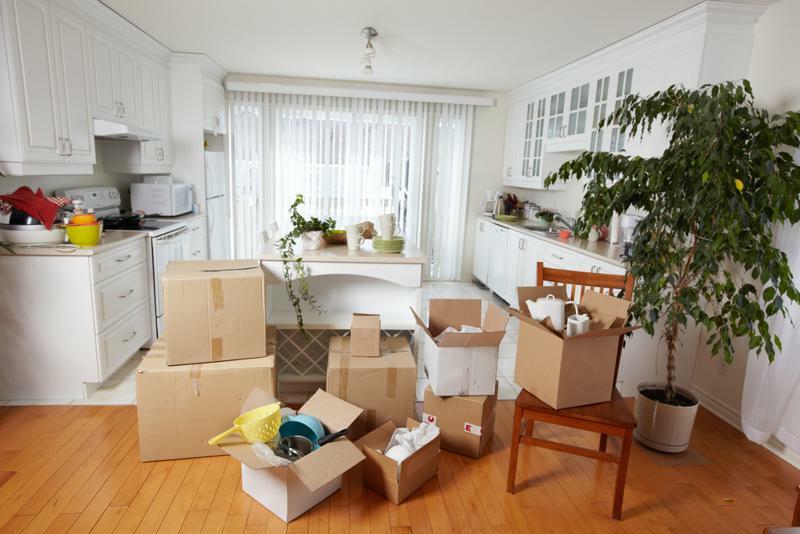 Don’t pack up everything: Depending on your style, you may spend a few days packing up your family’s belongings, which is a great way to conserve energy and help you feel less overwhelmed by the bulk of work ahead of you. Just be sure to leave out a few winter essentials that will help streamline your efforts. For instance, you’ll need a bag of salt and a sidewalk scraper to remove ice and snow as you move your things in. You’ll also want a broom to sweep away any snow or other debris from around doors and walkways. If you plan on using your car in the move, be sure to have an ice scraper, snow chains and extra antifreeze. To organize, keep these items in a spare box so you have easy access during packing and moving. Moving during winter can save money but does present some unique challenges. Each year, thousands of people will slip and fall on ice. For instance, in Canada alone, nearly 7,200 people were admitted to the hospital for ice fall-related injuries between 2010 and 2011, according to the Canadian Institute for Health Information. If you’re moving during the winter months, your risk for such an accident is noticeably higher. Luckily, there is always a CareWell Urgent Care Center nearby. With dozens of locations across the Eastern Seaboard, CareWell‘s team of physicians and nurses can treat almost any moving-related injury.